This viral video is timely. A suicide bomb accidentally exploded inside a karaoke bar while a terrorist was apparently singing "My Way." 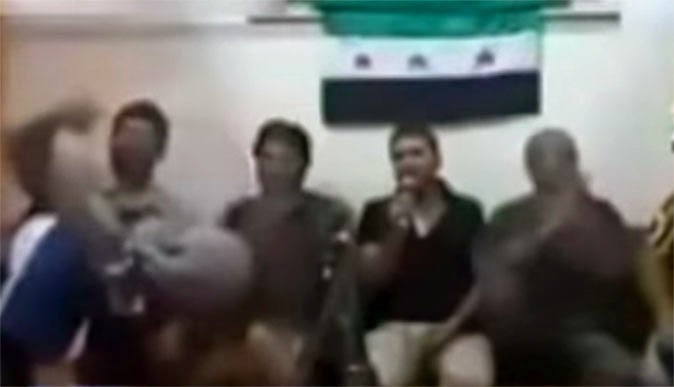 According to the newscast, a group of men from a Syrian-based terror group were sitting around singing when an explosive device went off prematurely. The terrorists, who suffered what the news described as "instant karma," were reportedly members of Takfiri, a foreign-sponsored group that has claimed responsibility for numerous attacks across Syria, Lebanon, and Iraq. Some netizens said no one has confirmed that the song was indeed the Frank Sinatra classic translated in their language. Did you notice that sarcastic laugh by the male news anchor?